Welcome to The New 52 Earth-2 by James Robinson. Robinson has apparently been given a completely blank page in re-imagining the Golden Age heroes he is most closely identified with. The only rule seems to be to tie this world to Earth-1's Justice League and the invasion of Darkseid from Apokalips. When I first saw that Robinson was going to be writing a new Earth-2 book the biggest question I had was: How is he going to do it? Since 1940, these characters have been tied to World War II, Hitler, Preseident Franklin Delano Roosevelt and the magic that kept most of the classic, Golden Age heroes from taking the Axis down and winning the war. What would James Robinson be bringing to these characters - as well as bringing these characters to - that Geoff Johns, David Goyer, Roy Thomas and a host of creators before him hadn't to make these characters fresh and interesting? I was curious, because of what he had famously done with Starman. He's made several attempts since Starman to see if lightning would strike twice. His Cry For Justice was savaged by critics. 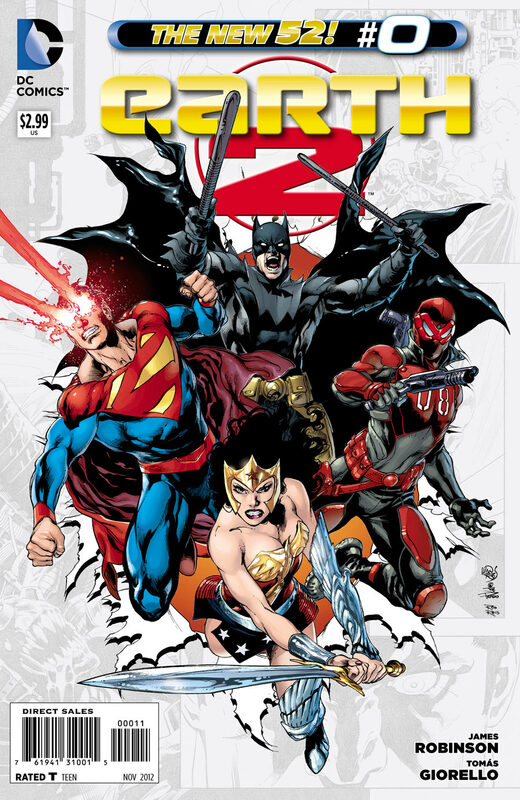 His run on Justice League of America was the final run before The New 52 reboot, and featured sidekicks and Teen Titans in their mentors' roles. His latest effort, The Shade twelve-issue maxi-series was nearly cancelled by issue eight. I was wondering if James Robinson had reached a point in his career like my other favorite writer, Marv Wolfman, where there was an end of words. I am thrilled that that is not the case. I'm following Earth-2 and, my good friend, Sean Elks' reviews of the book. These new All-Stars have come together not to fight the European Axis of Evil, including Adolf Hitler; but, to fend off an apocalyptic invasion by Darkseid! Here, there is no Trinity - Superman, Batman, Wonder Woman. Sidekicks Robin and Supergirl are Earth-1's Huntress and Power Girl. There doesn't appear to be a Hawkman. Earth-2's most brilliant mind, Terry Sloane is also the most dangerous one as well. Green Lantern Alan Scott is gay. Al Pratt isn't much of a "Tiny Titan" when he grows to Goliath-size as an Atom Smasher. 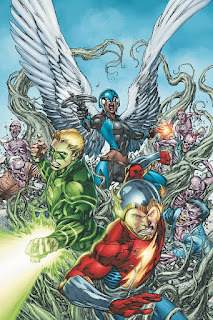 More familiar, but just as mysterious is Hawkgirl and her connection to Pratt. Jay Garrick still seems to be a bit of a slacker. It will be interesting to see how these heroes come together to beat the new incarnation of Solomon Grundy. 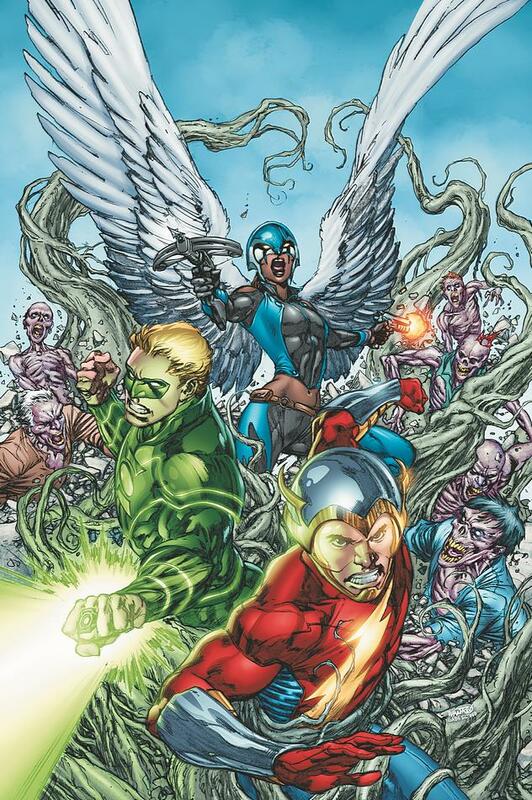 More interesting will be to see the new Earth-2 recruits. Jay's now ex-girlfriend left him to start over on the West Coast at Tyler Chemical. It should be interesting to see The New 52 version of Rex Tyler. It will be interesting to see what's become of Terry Sloane's doppelganger, Michael Holt. I am very interested to see what Robinson has in store, on Earth-2. This isn't the Justice Society anymore. It's not Infinity, Inc. Or, Young All-Stars, or All-Star Squadron or All-Star Comics. Near the end, the Justice Society of America's roster bloated to epic proportions, Gog and the Kingdom Come Superman were introduced, and wackiness ensued. I'm hoping that Robinson keeps the core cast as small and as tight as he did in Starman and adds some guest appearances and cameos sparingly. There are a couple that I am looking out for. First, is Larry Jordan. The Golden-Age Air Wave. Larry was an attorney by day and a masked mystery man by night. His powers were radio based. That was mainly because as a Golden Age hero, radio was the big deal. Larry sort of faded from heroics, because film, television and roller blades have become equally to more relevant and important in pop culture that radio. Technology has certainly changed since Larry was an All-Star. Cell phone technology and communications are industry leaders in modern times. I could see Robinson re-imagining Larry Jordan as a communications giant like Bill Gates or the late Steve Jobs. Oracle was an incredible, invaluable character, not just to Batman, but to the entire DCU at the time. I could see Larry Jordan starting out as a broadcasting engineer and developing into a near equal to Alan Scott. Alan Scott can have a television and maybe a radio broadcasting empire. Larry Jordan could be an Air Wave with a communications empire. The television series 24 capitalized on the use of cell phones and computer information searches and data transfer to keep the action moving. That was a background point that was developed to the forefront. I'd like to see Air Wave return and look cool. The other hero I'm looking to see make a comeback is Will Everett's Amazing Man. There are way too few cool black super heroes in comics. So far, Michael Holt is the lone hero of color or ethnicity on Earth-2. 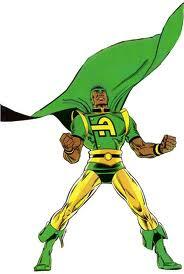 Will Everett was a bold move by Roy Thomas introducing a black super hero during World War II. Times and race relations haven't changed much. Amazing Man made a brief comeback on Captain Atom's Extreme Justice. I wouldn't really see a lot of change in Everett. His absorbing powers are unique, if a bit redundant considering Marvel's Absorbing Man. He might be redundant considering the powerhouse that Al Pratt has become. I think it is important to bring Will Everett back as almost Earth-2's version of John Henry Irons or Luke Cage. An average, blue collar, working class individual with amazing abilities. Someone to balance the Jay Garricks of Earth-2 against the Michael Holts and Alan Scotts. Ted Grant's Wildcat has not made an appearance in Earth-2, yet, so maybe Will Everett can fill that gap. Maybe Robinson can reimagine Everett as an Olympic-level athlete that becomes a team strongman. Like Arn "Iron" Munro was for the Young All-Stars. 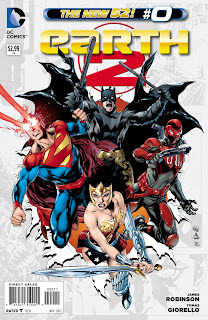 The New 52's Earth-2 is part of DC Entertainment ushering in a new comic book age. We've seen the Golden, Silver and Bronze ages all come and go with different heroes making their mark in each age. Jay Garrick and Alan Scott have become timeless heroes alongside Clark Kent, Bruce Wayne and Diana Prince. This revival could either be landmark or epic fail. I'm excited. 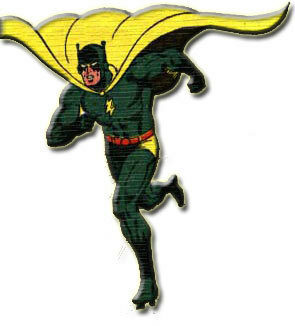 I'm hoping that James Robinson returns to his Earth-2, Golden Age roots and is able to revive these characters and bring on a new golden age. Hopefully, his efforts will keep these characters fresh and relevant to a modern audience.